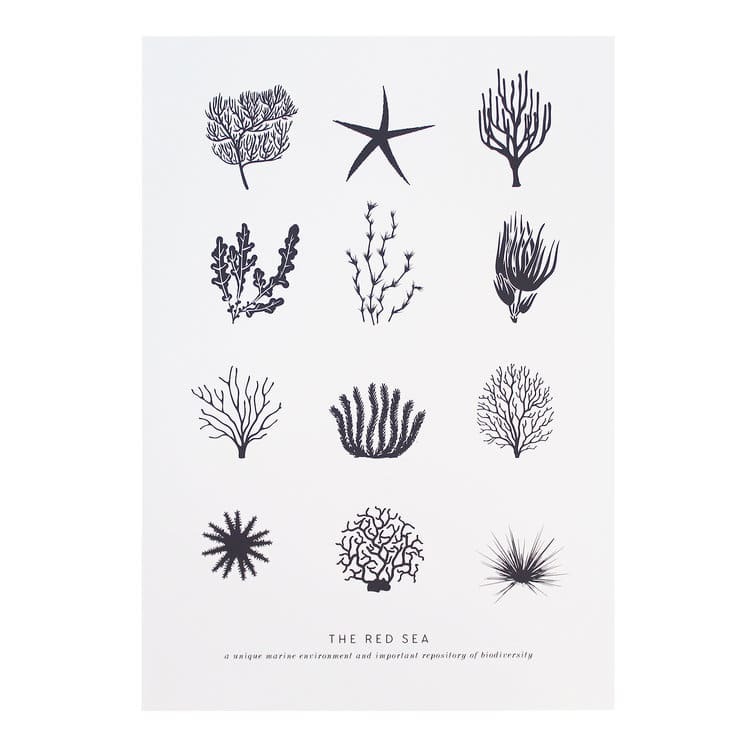 A3 Screenprint - The Red Sea. A unique marine environment and important repository of biodiversity. Designed by Artcadia and Screenprinted in Shropshire, England. Artcadia in Shrewsbury, United Kingdom.